The Mad Hatter fruit machine offers a £100 jackpot achievable on any of the three stakes of 25p, 50p and £1. Mad Hatter is essentially a copy of the much earlier Jail Break fruit machine with a progressive feature entry which offers a standard, super and mega feature entry chance, or at the very top of the entry board is a big money type bonus that can award up to £100. The best way to play these type of fruit machines is to go all out for the Red Mad Hatter feature which will always be at least £100, plus you are pretty much guaranteed another jackpot within £20, although you’ll have to work pretty hard for that one. If you don’t fancy putting £100 or more into the fruit machine, there are many features that offer a good return, plus the red cash repeaters will always repeat at least once. I’ve never actually seen the cashpot payout on Mad Hatter, but that is largely due to the way that I them. The cashpot will nearly always be on £100, but it is progressive, so it might be lower if someone has just won it. The cashpot is in the Deal or No Deal type feature, as is £100 and lots of smaller wins. Occasionally Mad Hatter will show you what your final win will be, so make sure you watch the super feature game closely to see what it is. As well as the standard cash and feature shots there is also a Cash or Bust button, although just like Snow White and the Seven Jackpots, this one will usually just offer you the value of the board rather than accumulate like many Bell Fruits do. 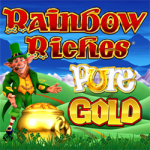 Play for the £100 Jackpot! Force for the £100 jackpot for a chance of a mini streak. Progressive, so possible to play for the jackpot.